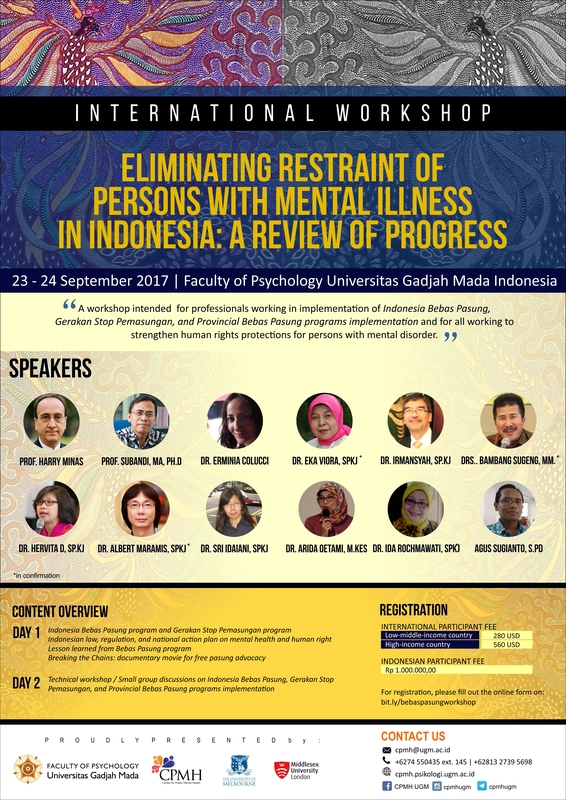 Restraining/chaining persons with mental illness (Pasung) has long been a problematic issue because it is considered as an act of human rights violation. 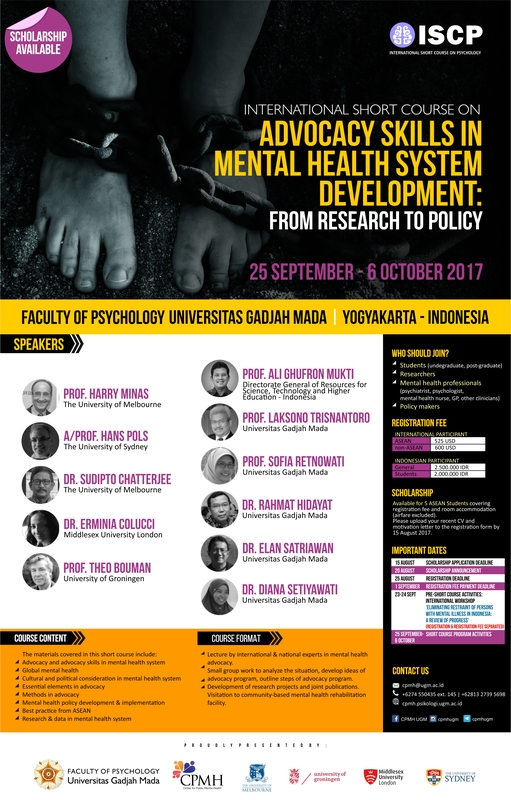 This issue concerned Indonesia as pasung can be found in almost every province in Indonesia as an alternative to treat persons with mental disorder. Indonesian government has strictly forbid the act of pasung since 1977 with the enactment of Surat Menteri Dalam Negeri Nomor PEM.29/6/15. But the strategic effort to abolish pasung in Indonesia started in 2010 with Indonesia Bebas Pasung (Free-Pasung Indonesia) program. 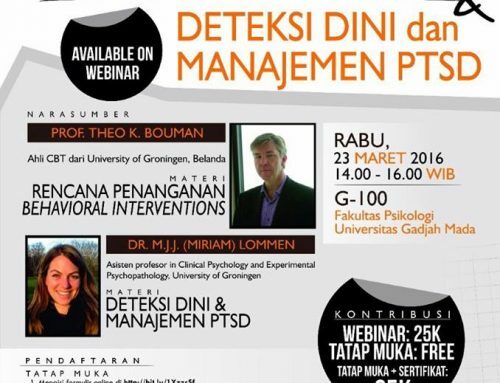 Free-Pasung Program has been implemented in Indonesia since 2010. Since then, by the end of 2014 and 2015, 5.846 and 7.806 pasung victims had been freed, respectively. Those numbers are relatively high compared to 8.543 pasung cases found in 2015. However, pasung has not completely obliterated from Indonesia. 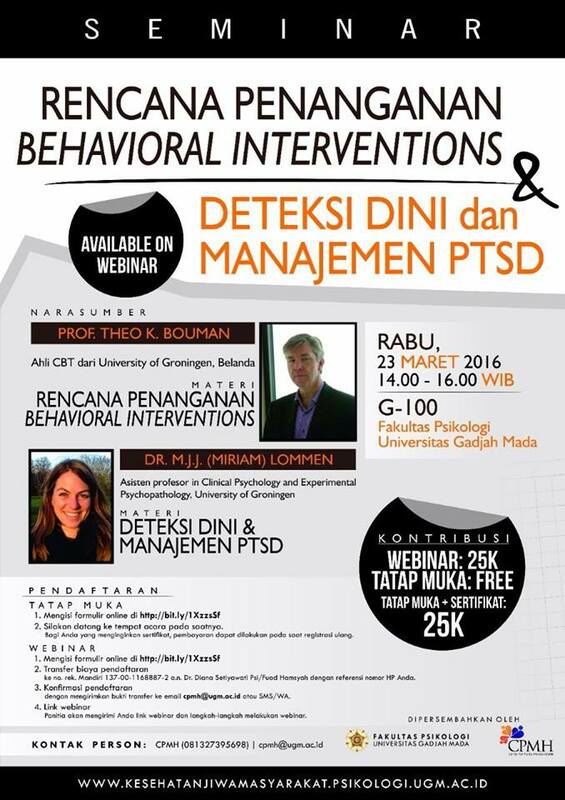 Community-based rehabilitation facilities using pasung as a method to cure mentally ill persons can still be found. Difficulty to take care of family member with mental disorder and limited access to adequate mental health care facilities are two of many reasons the family of persons with mental illness to perform pasung. This International Workshop is held to review the development of the Indonesia Bebas Pasung program, to map the conditions and obstacles encountered in the field, and to explore alternative solutions to overcome the obstacles in order to achieve Free-Pasung Indonesia in 2019. 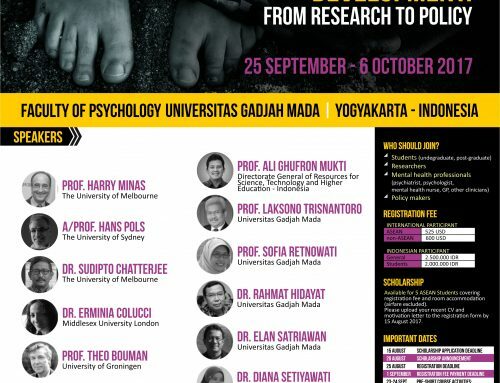 The involvement of various elements in this workshop is expected to provide more systematic and operational solutions for the program implementation in Indonesia and to provide insight for international participants in developing mental health system in their country. Workshop agenda can be found here.